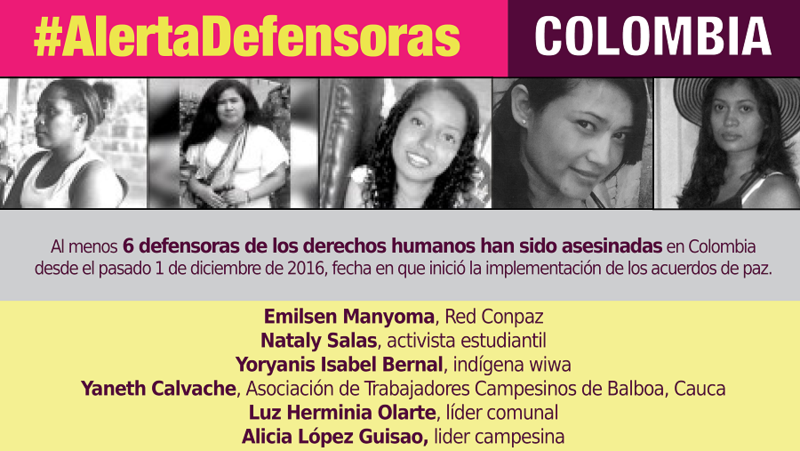 At least six women human rights defenders have been killed in Colombia since December 1st, 2016, the date when the implementation of the peace accords began. 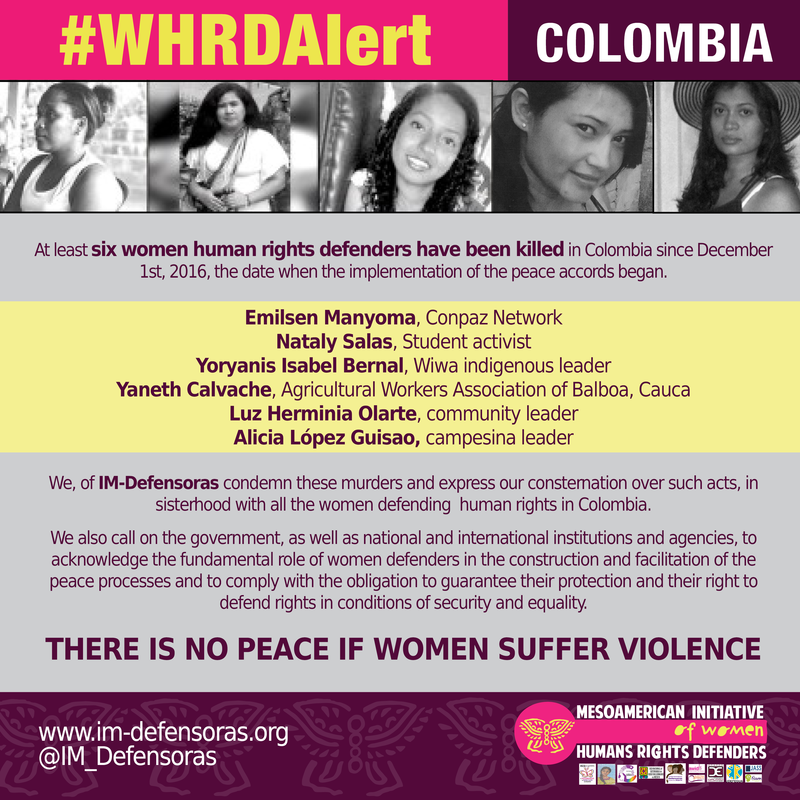 We, of IM-Defensoras condemn these murders and express our consternation over such acts, in sisterhood with all the women defending human rights in Colombia. We also call on the government, as well as national and international institutions and agencies, to acknowledge the fundamental role of women defenders in the construction and facilitation of the peace processes and to comply with the obligation to guarantee their protection and their right to defend rights in conditions of security and equality.